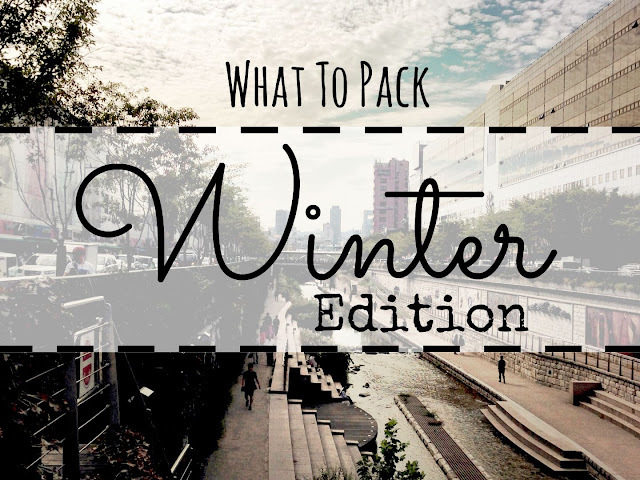 Travelling seems like something I do all the time but little do you know, I've packed like an amateur, made packing mistakes and ended up looking like a naive traveler but thankfully gone were those awkward days so I thought I'd share what I'm bringing with me on my trip this round. People, forget the printer, cartoon bolster and your neighbor's cat. And yes, you don't need 5 pairs of shoes as well. This is a 10 days trip, lo and behold, it isn't a business trip so dressing formal or smart casual is out of the books. However, I do try to look smart and chic on any overseas trips just so that I don't feel too dressed down for fancy restaurants, night outs or nicer boutiques. This packing list would also apply if you are a dude. 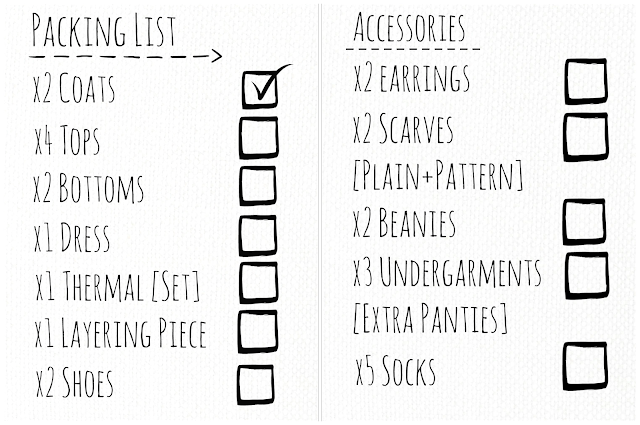 Excluding the dress and earrings of course :) For accessories, undergarments and socks, pack as per your liking. Since its Winter, I'll stick with thicker socks. One good tip if you want extra warmth, get your hands on some men's socks! Overall thicker and roomier, incredible if you're wearing boots or have big feet like I do. So this wraps up what I'd be packing for my 10 days Winter trip. Will share what I'm bringing with me on the plane [In-Flight] and also beauty products that are coming with me. Stay tuned.